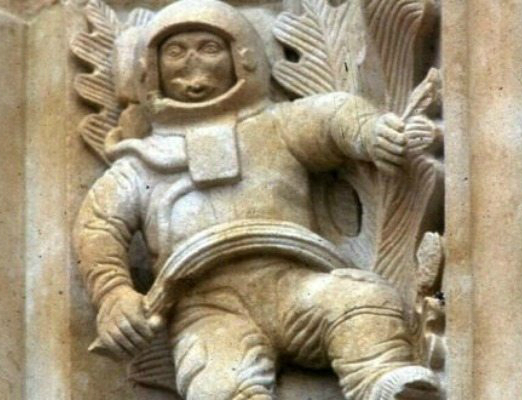 You've probably seen pictures of the astronaut carved on the Catedral Nueva (New Cathedral) in Salamanca, possibly on sites with pictures of 'time travellers' or mysterious objects suggesting people could see into the future. Sadly, this carving does not show that ancient Spanish stonemasons predicted space travel. Built between 1513 and 1733, the new cathedral is next to the 'old cathedral' and was designed by Antón de Egas and Alonso Rodriges. The cathedral underwent renovation in 1992 and Jeronimo Garcia was authorised to add some modern designs to the facade.